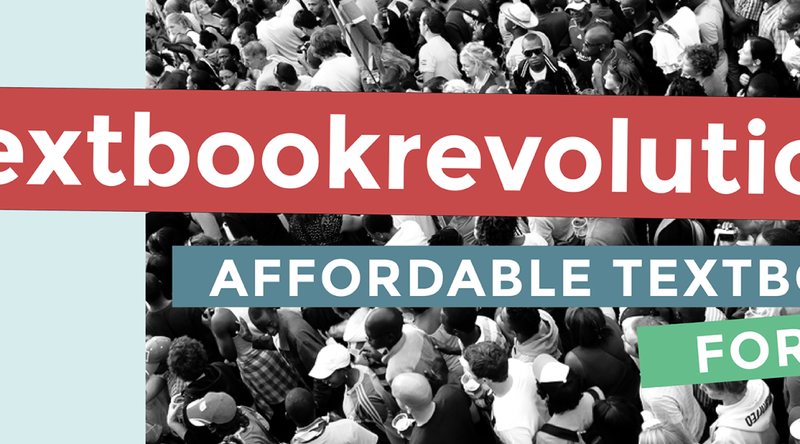 February 2014 saw the launch of the #textbookrevolution. We donned our Paperight #textbookrevolution t-shirts and made our way to Stellenbosch University. Once there the team split up: Arthur and Dez stayed at Jetline Stellenbosch to assist in store, Oscar and Yazeed trekked around campus to put up posters, and Philippa, Nick, Marie and I spent our time handing out coasters and getting students to sign the #textbookrevolution petition. 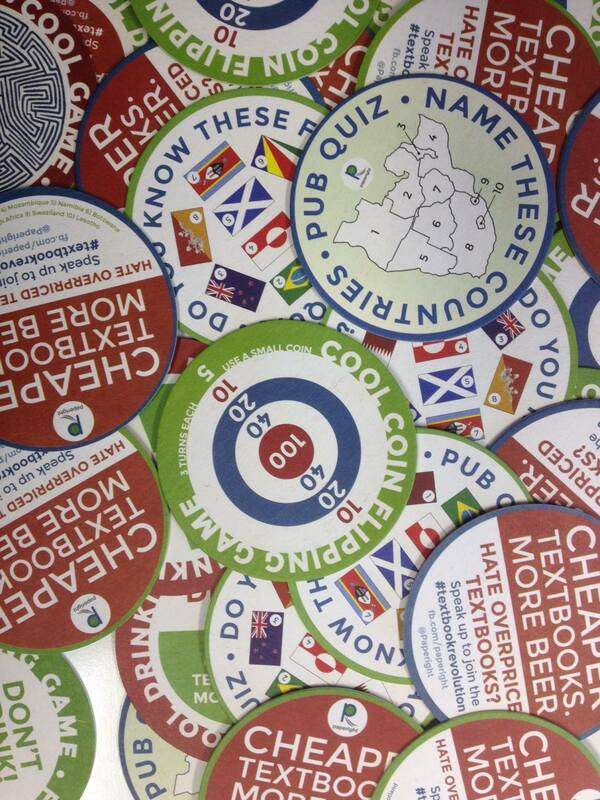 Students loved our More Money For Beer campaign slogan, and were very receptive to the idea of Paperight. Mostly though, they bemoaned the high costs of textbooks and the lack of availability of alternatives. We had the same experience later in the month on UCT campus. Again, we handed out coasters, chatted to students and explained what drives up the price of books. While students were enthusiastic, we soon realised that there were two key gaps that we had not been able to fill. The first was a content gap. We knew that we’d have this, and we’d structured our campaign around it, but the result was that while we had a lot of queries, we were not able to leverage publishers to make this content available (the same problem we’d been experiencing for months). Additionally, and perhaps more worryingly, we realised that service in copy shops was not what we had assumed it would be. While the majority of registered outlets were very enthusiastic about the Paperight service, and had topped up their accounts, there was often only one person in the outlet who knew how to use the site, despite multiple training sessions with other outlet employees. If this person was not around to field customer orders, or if the customer encountered an employee who did not know of, or who had forgotten about Paperight, the customer was being turned away. More and more frequently we were receiving calls from customers who were going to outlets only to be told that these did not offer the service. At this point Arthur and I started actively looking into potential pivots. We considered merging Paperight with other companies working in the educational sector, and to this end, valuated Paperight’s assets. We were struggling to maintain enthusiasm as a team for the #textbookrevolution, and working on publisher follow-ups, reformatting, and uploads seemed futile given an imminent pivot. Things became very difficult here. We were struggling to maintain enthusiasm as a team for the #textbookrevolution, and working on publisher follow-ups, reformatting, and uploads seemed futile given an imminent pivot. Yet, at the same time, we hadn’t decided on a pivot, so we couldn’t realign our priorities. The result was that we started to flounder a bit. While we continued on, the morale in the office dropped. 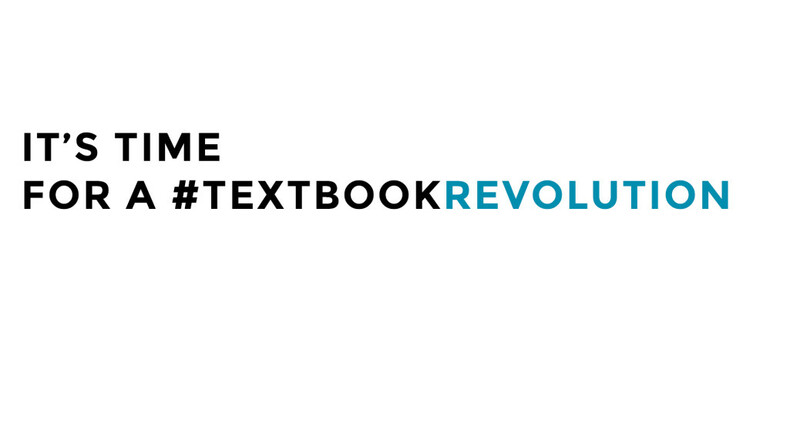 In our shift to focus on universities, we created and launched our #textbookrevolution campaign. This meant creating detailed messaging and plans: one liners, elevator pitches, detailed back stories, a manifesto, a petition, outlet advertising posters and marketing briefs, novelty coasters, and videos; campaign website (http://textbookrevolution.co.za); doing lots of PR work (emailing journalists and stakeholders personally); and organising a Twitter debate on the high price of textbooks. This was the main focus of Nov, Dec and Feb.
13 Jan 2014: Added several posters for outlets to our archive. 14 Jan 2014: Post on how the two schools we sold books to last year improved their matric results. 20 Jan 2014: Launched the #textbookrevolution and http://textbookrevolution.co.za with 1-minute manifesto video. Full blog post here. 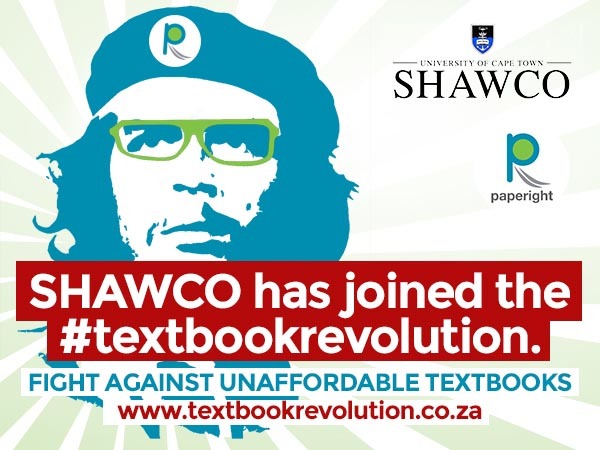 18 Feb 2014: SHAWCO gets behind the #textbookrevolution. 24 Feb 2014: A UCT and Stellenbosch Petition video and blog posts about UCT and Stellenbosch. On the technical side, we finalised much better automation of book preparation prep (mainly tools to use online PDF layout tool DocRaptor to create better-looking books). And in finances, completed our audit with a clean bill of health. I went to Johannesburg for pitching meetings with publishers (Pearson, Van Schaik, UNISA Press), UNISA, and PostNet, and our outlets manager Yazeed attended the ActivateSA event in Joburg, a conference of young leaders, to talk about Paperight and the #textbookrevolution. 22 Jan 2014: A post by me on Medium, “Not Yet for Profit”, arguing that well-funded, as-yet-unprofitable startups represent an whole new industry, much of it in social impact, and that’s a good thing. 24 Jan 2014: Interview on Paperight’s story with AFKInsider, a US website on African business. Mainly I’ve been telling the #textbookrevolution story over and over again in meetings (with publishers, university administrators and journalists). E.g. interviews during Jan and Feb on SAFM, Rhodes Music Radio, UJfm (University of Joburg) and Jozi Today. The focus of the #textbookrevolution campaign is to (a) highlight the fact that 70% of the cost of a textbook is the supply chain (printing, shipping, warehousing, wastage and retail), and that (b) print-on-demand on university campuses could save students and South Africa as much as a billion rand a year. See our blog post for the detail, and the #textbookrevolution site for the manifesto, video, petition and supporters. 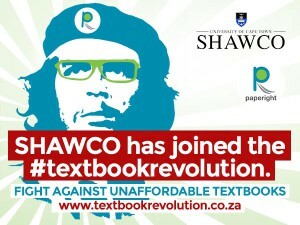 SHAWCO (UCT’s acclaimed social-welfare organisation) and Boundless (open textbooks) are official supporters of the #textbookrevolution. See all the supporters here. We’ve also had ongoing discussions about closer collaboration with RISO (copier manufacturer), Mega Digital (SA’s biggest short-run book printer) and Loot (online retailer). 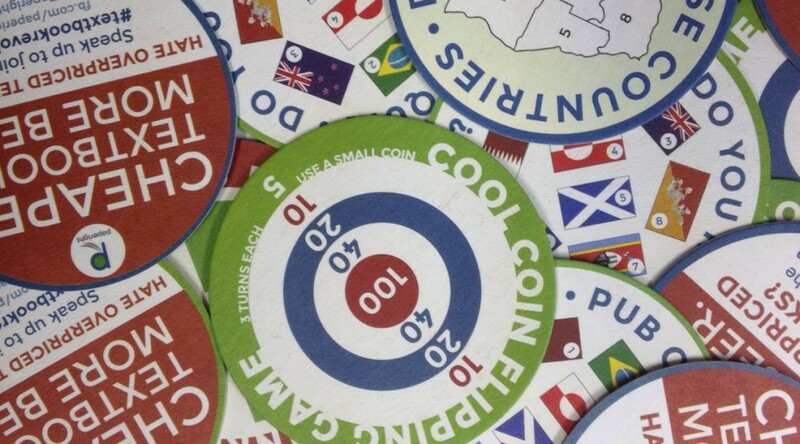 1 Dec 2014: Contagious magazine (print), article on select startups called “Small but Perfectly Formed”. We had a great response from students at Stellenbosch and UCT where we collected over 1000 signatures on our #textbookrevolution petition. In addition to the paper petition, students have left great comments on our online petition. Students are highly sensitised to the issue of high textbook prices. Also, we probably reached more students in the 20 hours we spent on campuses than we would have in months online. A big lesson was that we’ve long underestimated the importance of putting people on the ground talking to potential customers (even if we don’t have the books they need yet). We’ve also had big losses. More about that in this separate post.